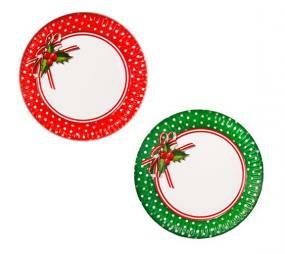 These holly spot design Christmas paper plates are from the Jolly Holly range by Talking Tables. The plates are supplied in a pack of 8 with 4 each of red and white and green and white. Each plates measures 23cm diameter.